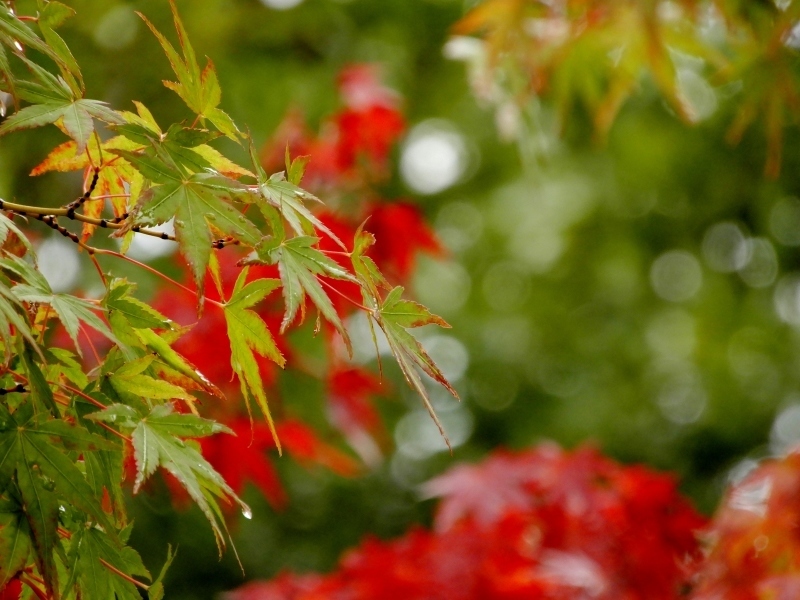 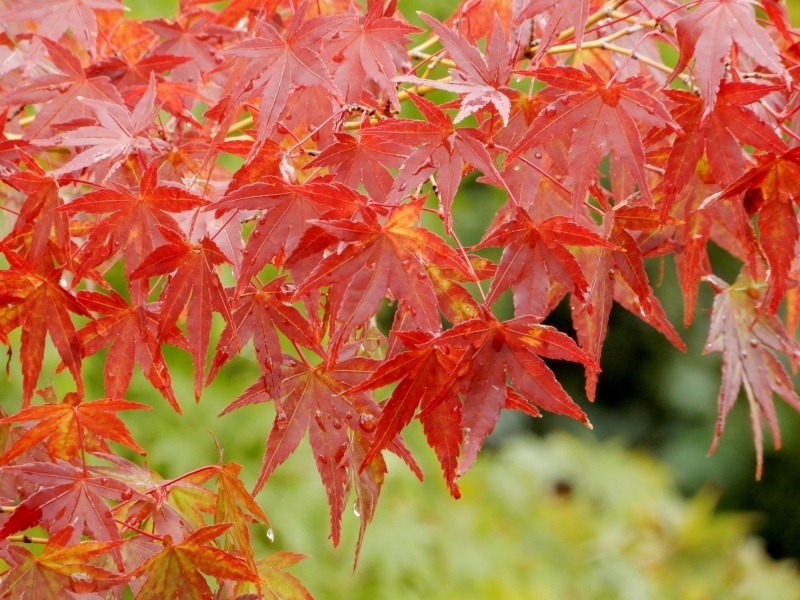 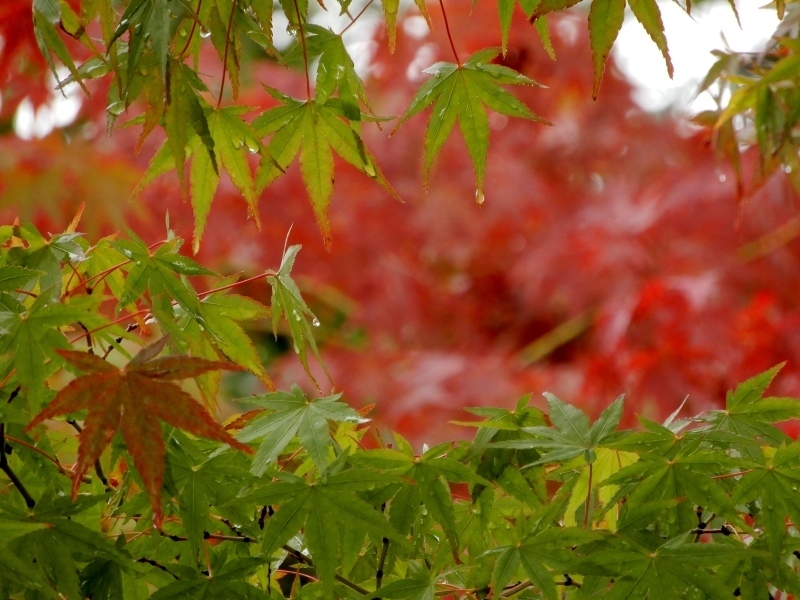 AUJOURD'HUI, c' est le premier jour d' automne selon le calendrier lunaire. 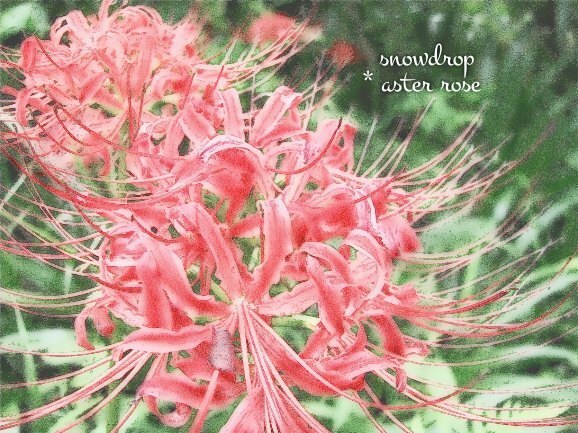 It was rainy yesterday, Aster (shion)'s Day. 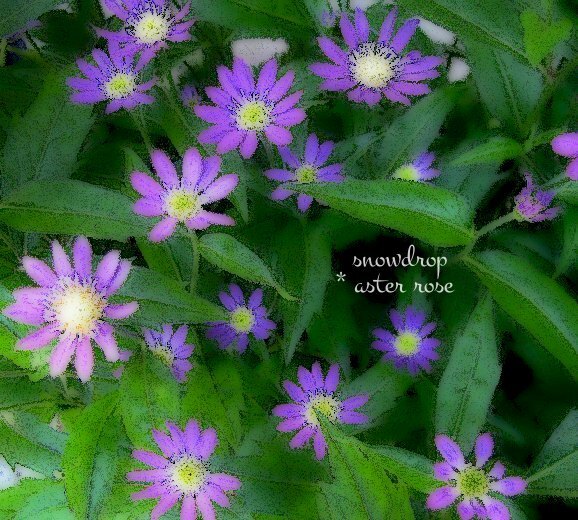 whom the name of "aster" had inspired to take photos of asters yesterday. 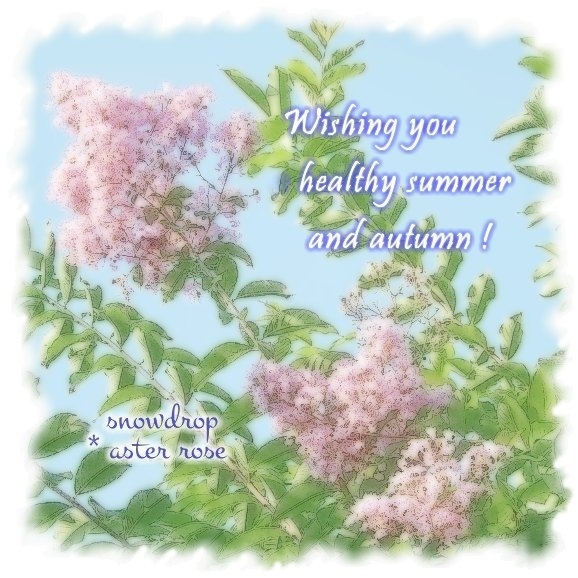 do not catch a cold, please! 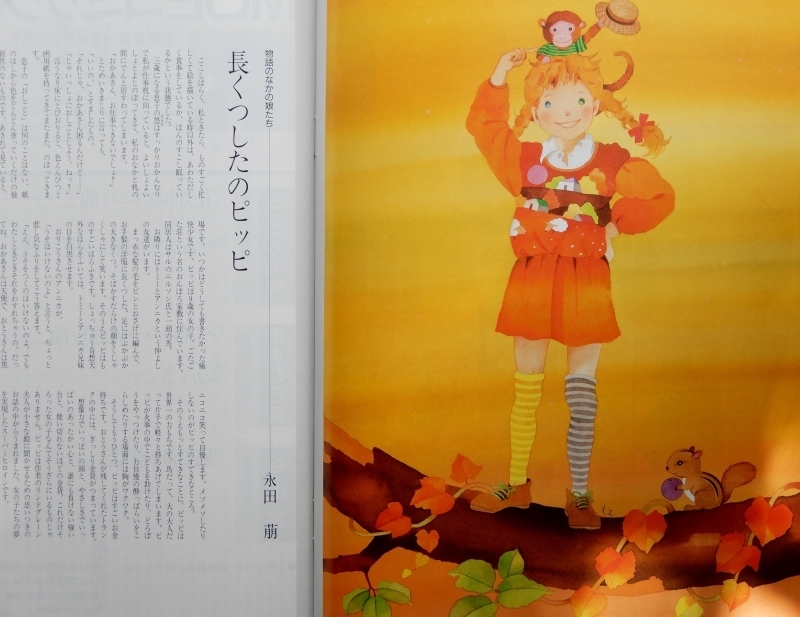 Is it sunny this afternoon? 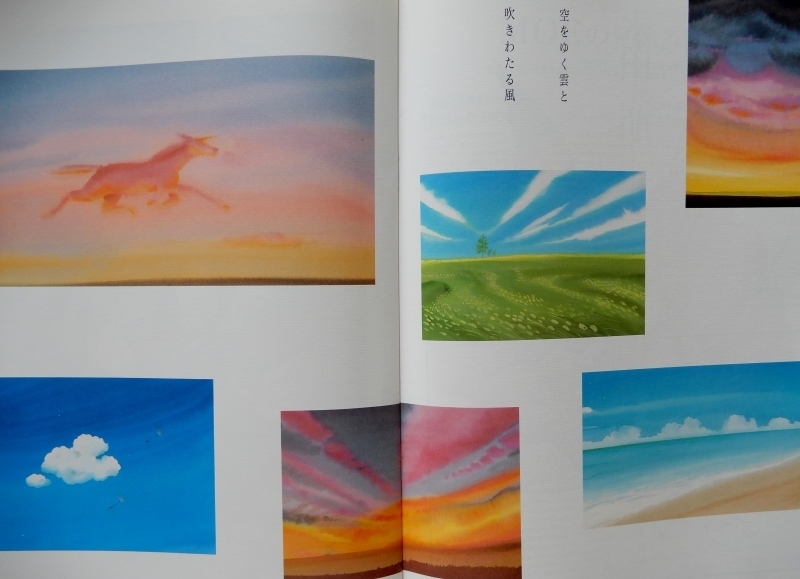 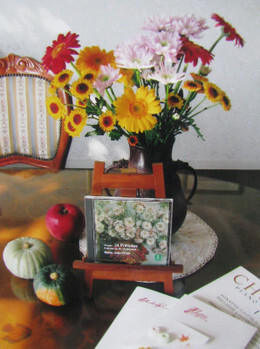 If so, I wonder if I will go to the library to borrow Aster's Garden. 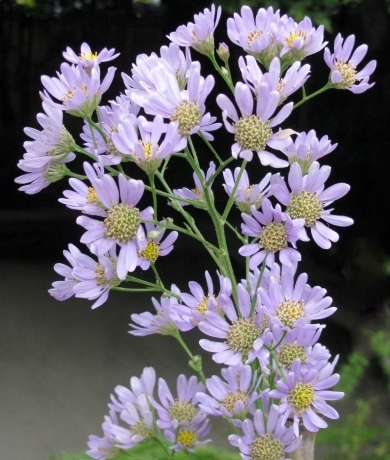 Some calls October 16th "Aster's Day". 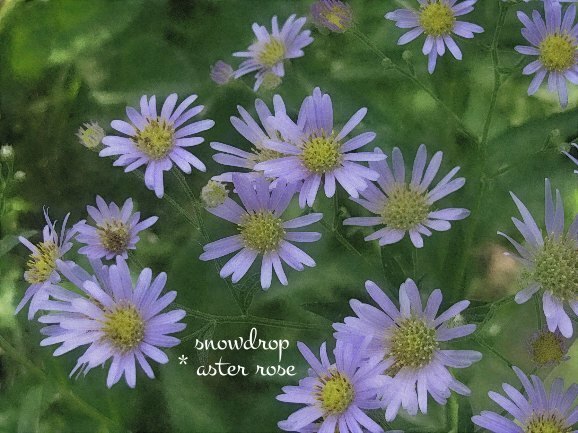 The aster is called Harvest Moon flower also. 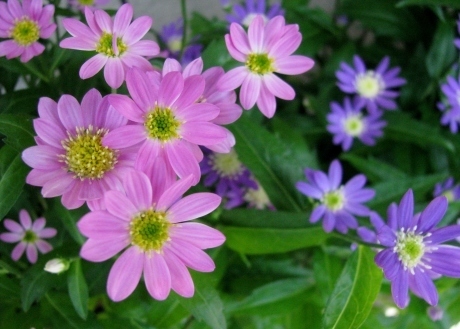 The aster resembles to the star. 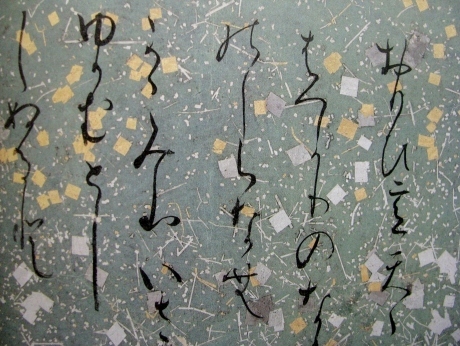 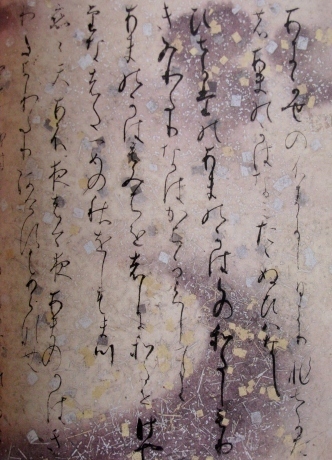 Kenreimon-in Ukyō no Daibu is called the starry sky poet, who was a contemporary of Princess Shikishi. 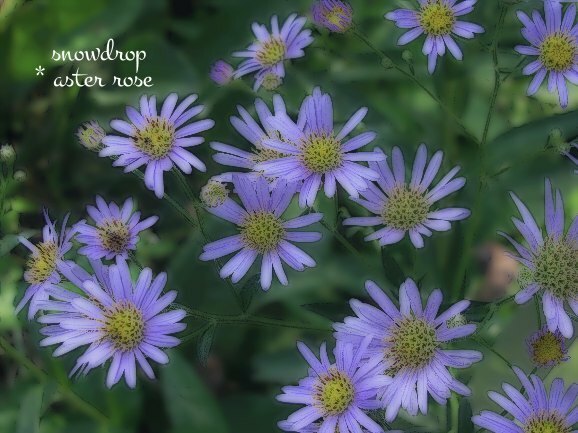 toward twinkling balloonflowers,　asters, and stars in the sky ! 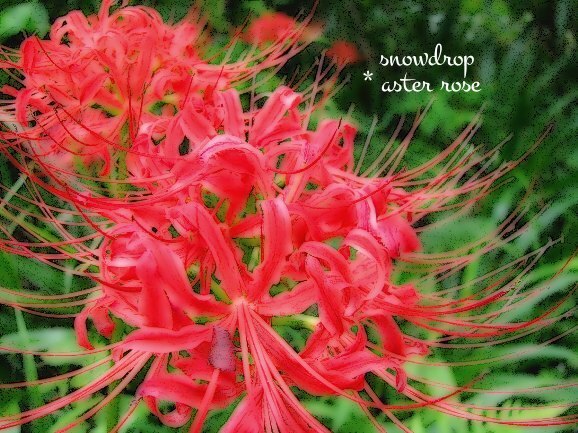 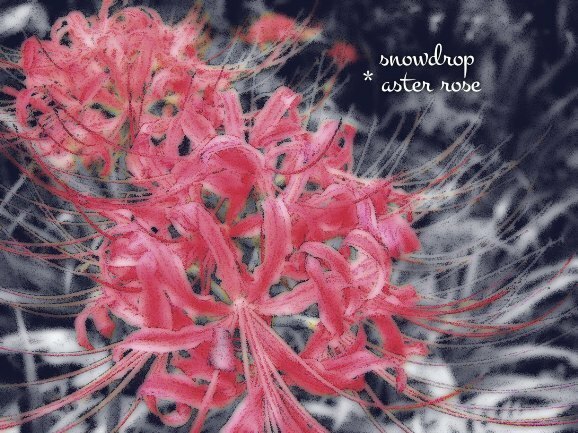 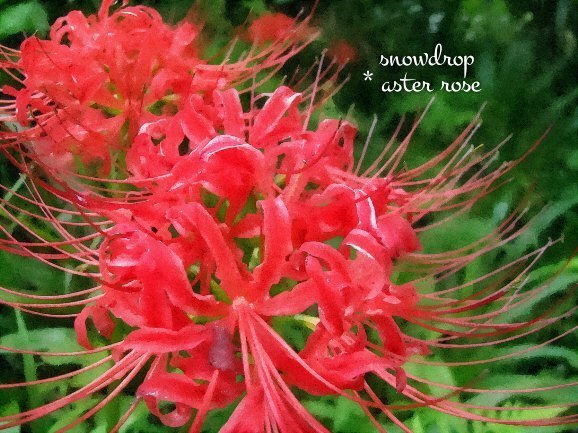 Aster rose delivered several image processed photos of red spider lilies. 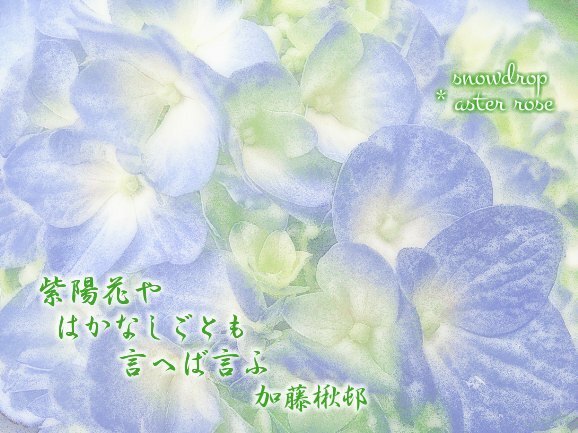 I could not go out to take photos this year, but I feel as if I was wandering on flowered ridges between rice fields. 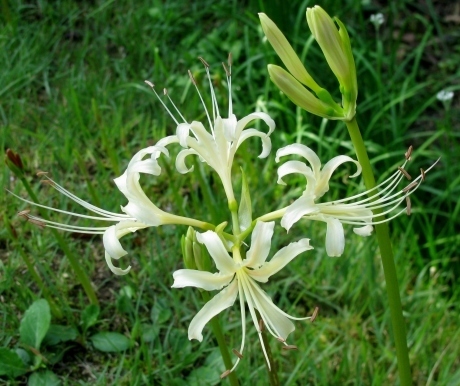 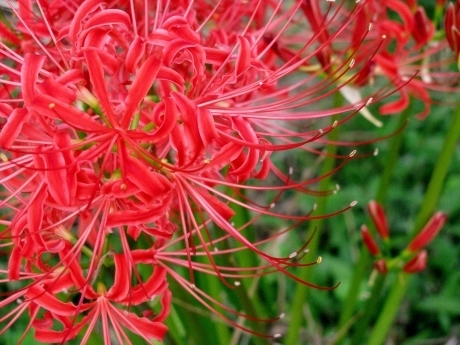 The red spider lily is poisonous and it is impossible to weave its garland. 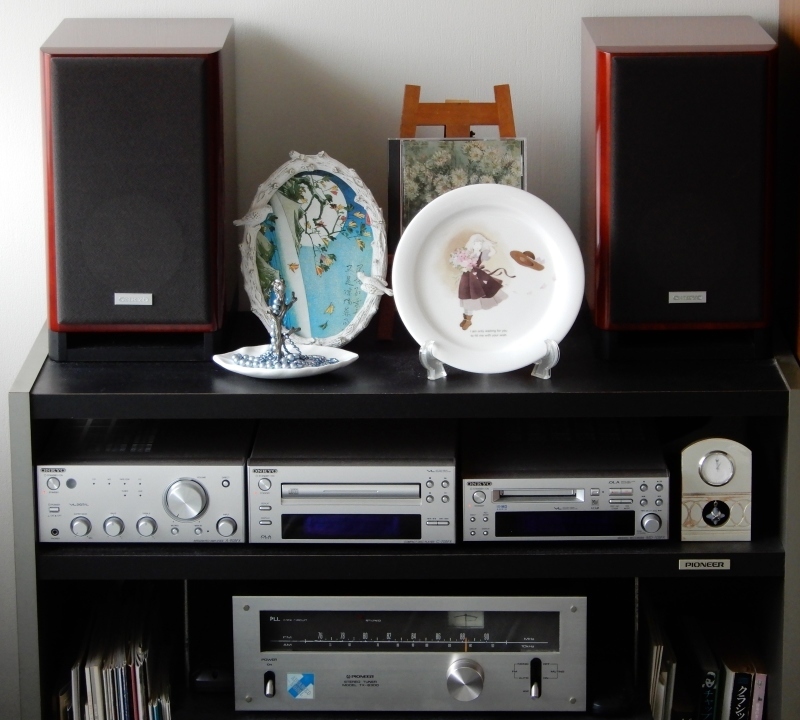 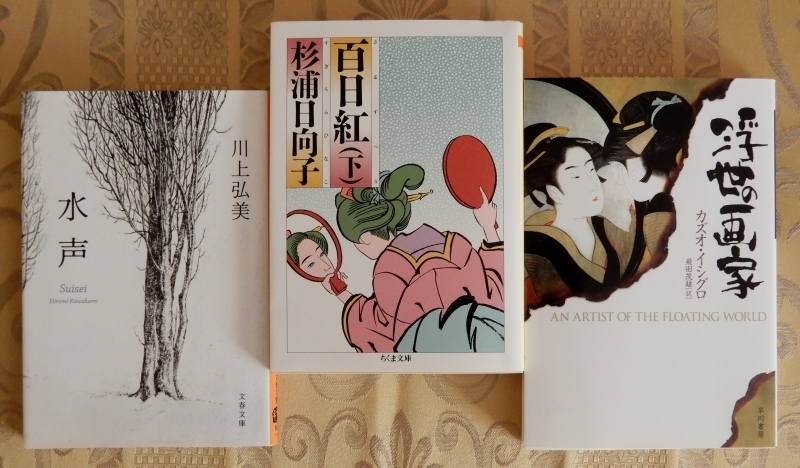 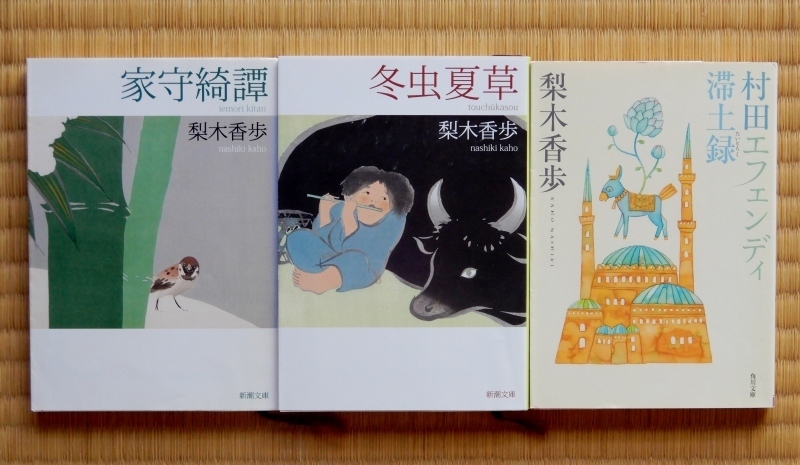 How about weavigng tanka, anthology (ἄνθος＋λογία) from Songs on Manjushage (spider lily) by KINOSHITA Rigen and snowdrop's ? 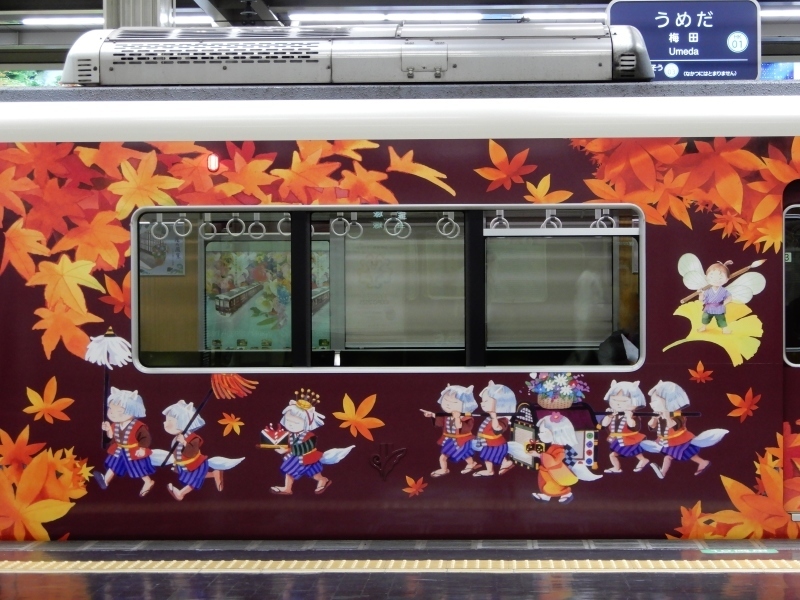 in spring-like autumnal sunlight of Equinox　kitsune-bana (fox flowers) are burning red　where does this footpath go? 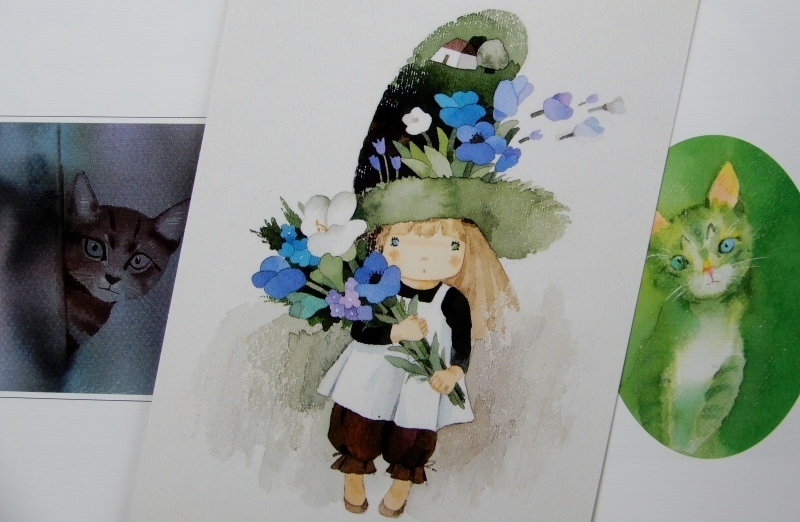 Do you know that sad legend of Vergissmeinnicht (myosotis) ? 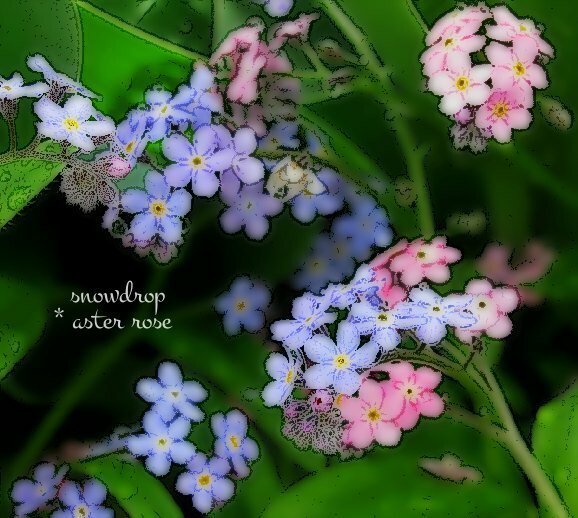 The myosotis is the flower that she could never forget like her lost lover. 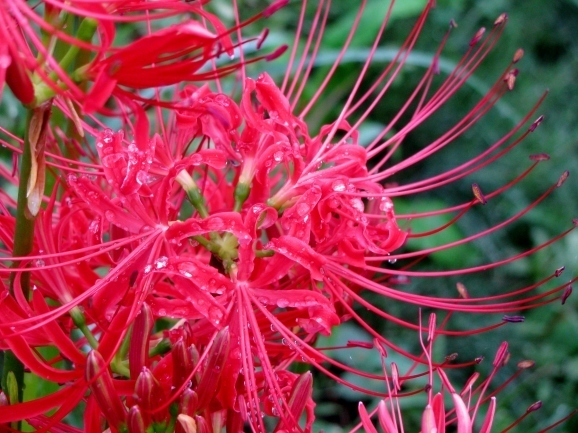 Emperor Juntoku, who was sent into exile on Sado Island, would be consoled by these star-like wild flowers. 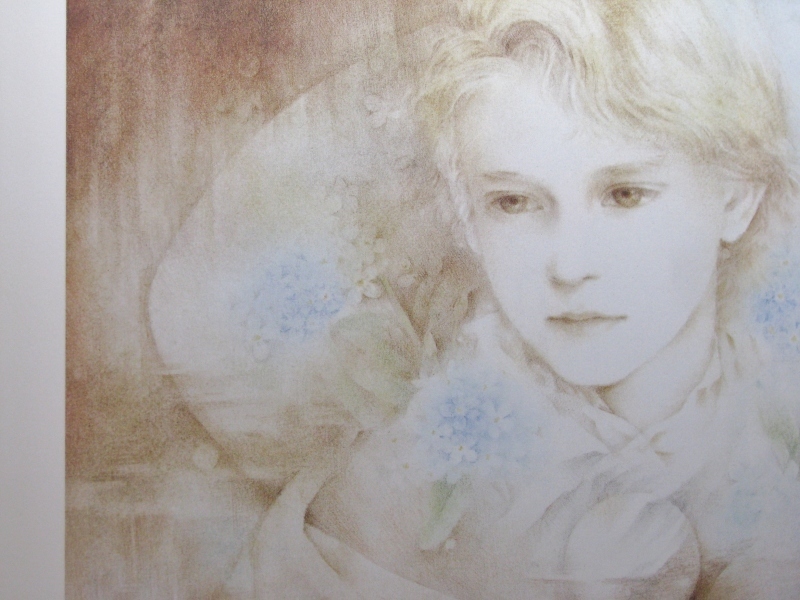 Gymnaster savatieri is so beautiful that it could make him forget his attachment to the capital. 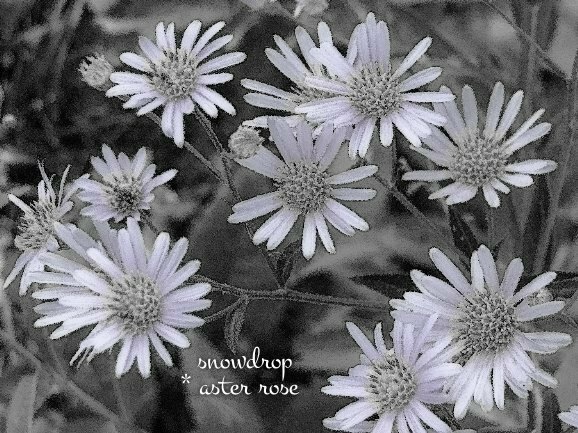 Snowdrop's photos have been image-processed by her friend aster rose, who has chosen the following waka on the hydrangea of Fujiwara no Shunzei: Even in the summer, too strong emotion has exhausted me, by the dews on four petals of a hydrangea reflecting the clear moonlight. 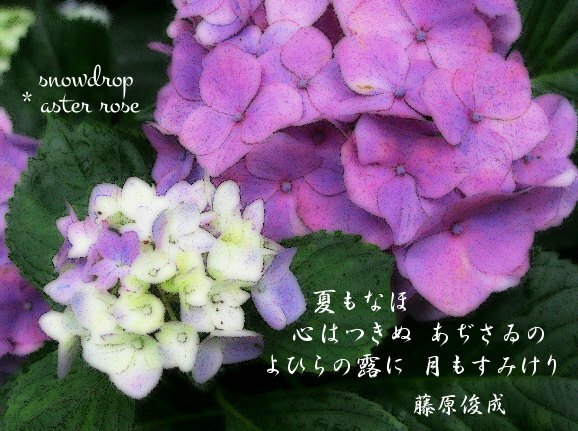 She has inserted the following haiku of KATO Shuson also that snowdrop selected: Hydrangea! 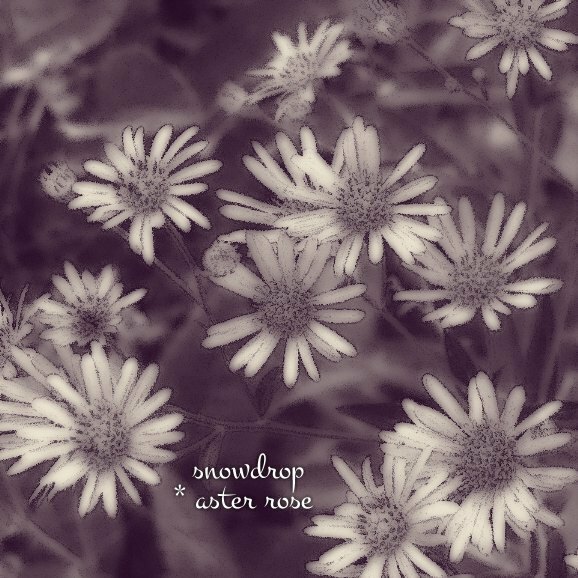 even something ephemeral, if one tries to express it, he can express it by words. 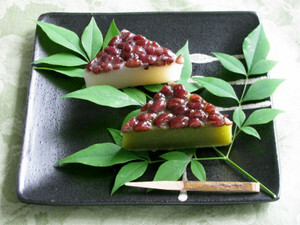 Here is a Japanese cake called Minazuki（June）,whose red beans protect you against the misfortune and promiss your health during the latter half of the year. 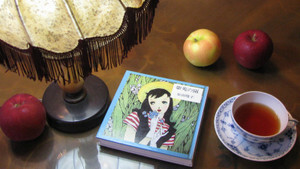 umiさん、ご企画ありがとうございます。＊　Special thanks to umi!